Chic and Charming: California Here I Come! 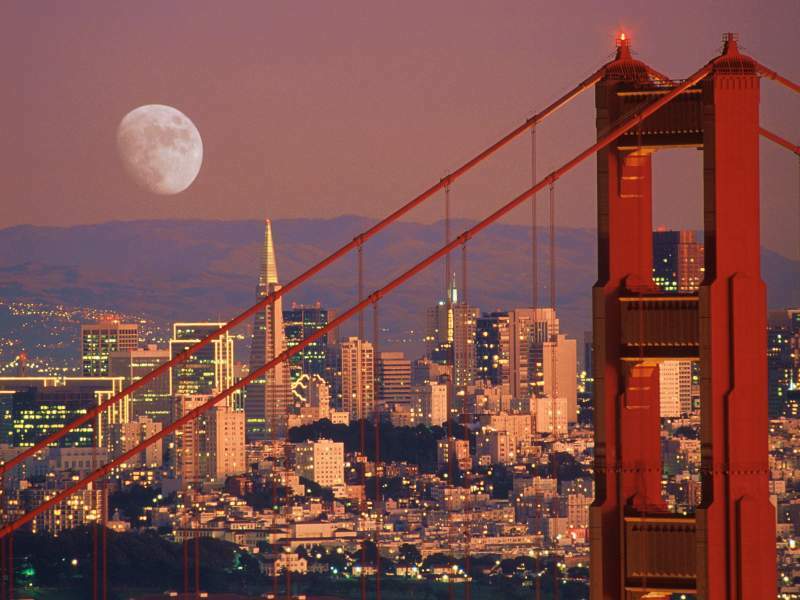 As a big present to myself I've booked a trip to Los Angles and San Francisco . I know many of you lovely ladies live out that way so I'm looking for travel tips! I'm a big fan of interesting craft supply shops, one of a kind retail boutiques, food markets and unique grocery stores. I am a total foodie and I love classic cocktails, so good bars and restaurants are also appreciated! I'd rather avoid tourist traps and star spotting. My husband and I are going to drive up to coast from LA to San Francisco, and we'd like to stop somewhere overnight along the way, preferably something cute and romantic. In San Francisco (I live there) you should definitely go to Haight street. It has amazing vintage stores and small boutiques (and food too!) Fillmore, Union, Hayes Chestnut Street are great also. They usually have more upscale boutique stores and also really good food! If you like frozen yogurt I recommend going to Yogurt Bar on Union St. and Octavia. SO GOOD! The Ferry Building (on the Embarcadero) is a great farmer's market. They have restaurants inside that are open all the time but they also have local produce and food outside on Saturday mornings and also a great craft fair across the street on Saturday too. Hope this helped! And have a great time!! If you want interesting craft supplies go to Flax in San Francisco. It was art supply heaven for me when I was there. Their paper selection cannot be beat. I wish was going to San Francisco. It is one of my favorite places in the world. oooh! I've always wanted to got to SF!! You'll have to post all the great places you go to and things you do so I'll know what to do when I finally get to go!! Can't wait to hear all your adventures! I just got back from San Francisco and it was amazing...I don't know the ins and outs of it though, so I can't recommend insider places. However, a great place for you and the hubby to stop would be Carmel by the Sea. It's right next to Monterey and it's completely cute and gorgeous. It's about 5 hours from LA and 2 from San Francisco...so if you don't mind a slightly lopsided travel itinerary, I would definitely recommend staying there. Also, you probably won't do this, but I'll share it anyway because I know you're a fan of the Twilight series. There's a beach called Montana de Oro by San Louis Obispo and it completely reminds me of La Push. I made the BFF make a pit stop with me there on our way up to San Fran so I could show her. If you're willing to drive quite a ways to stay some place cute and romantic, I suggest staying at the Madonna Inn in San Luis Obispo. I've stayed there twice and its wonderful!! Each room is decorated entirely different to theme -- one is a jungle and has a waterfall shower, another is set up like a golf course, but the majority of the rooms are very pink and girlie. Its definitely a fun experience. I don't know how far it is from San Fran, but from LA it ended up being around 2.5-3 hours.